You are here: Home » Vintage Furniture, Lamps and Accessories » Lamps » Table Lamps » Fiberglas Table Lamp by Louis Kalff for Philips, 1958. 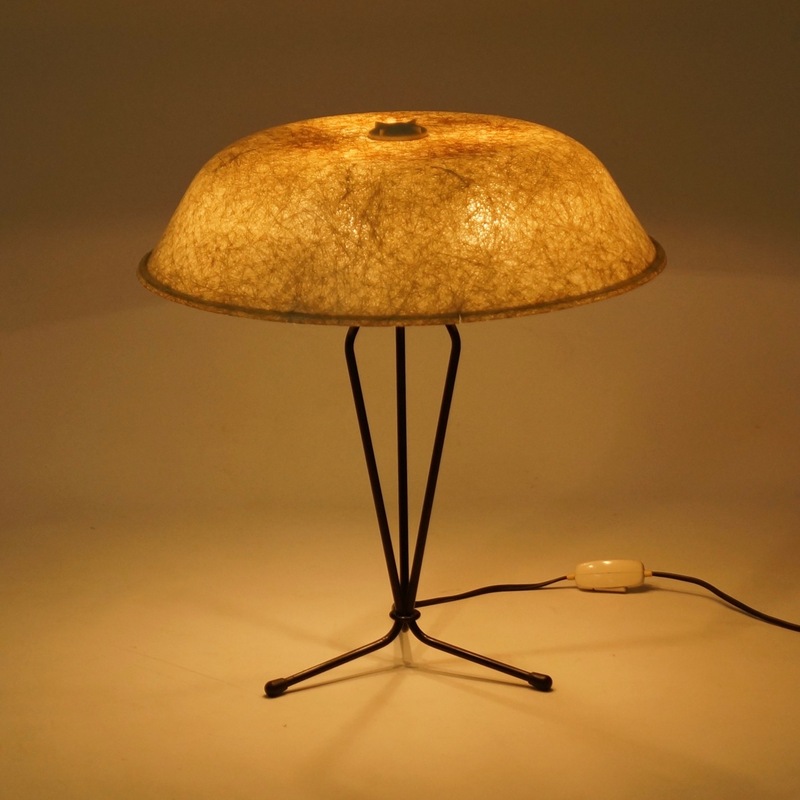 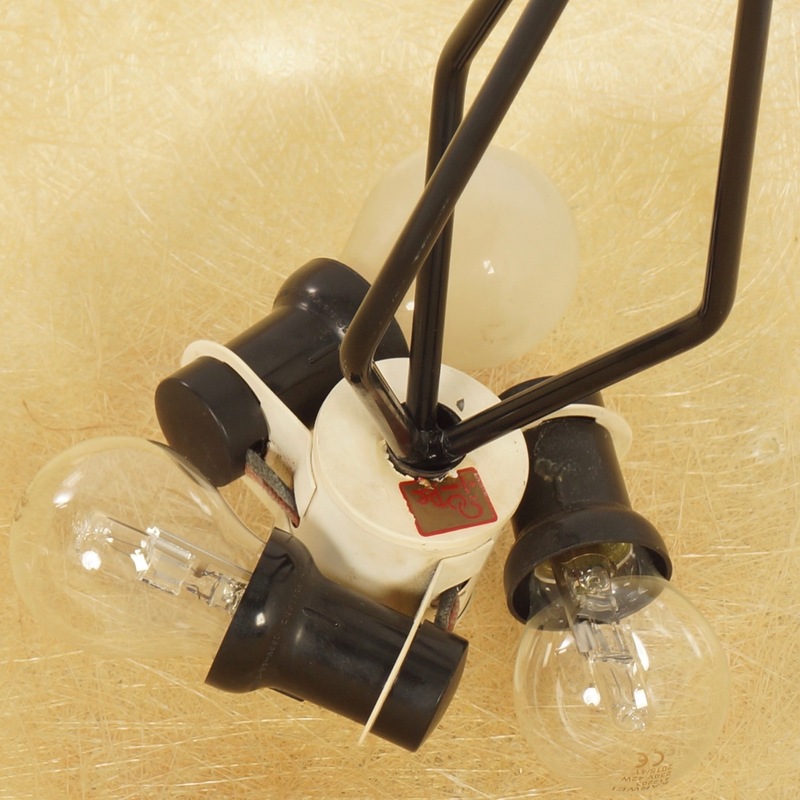 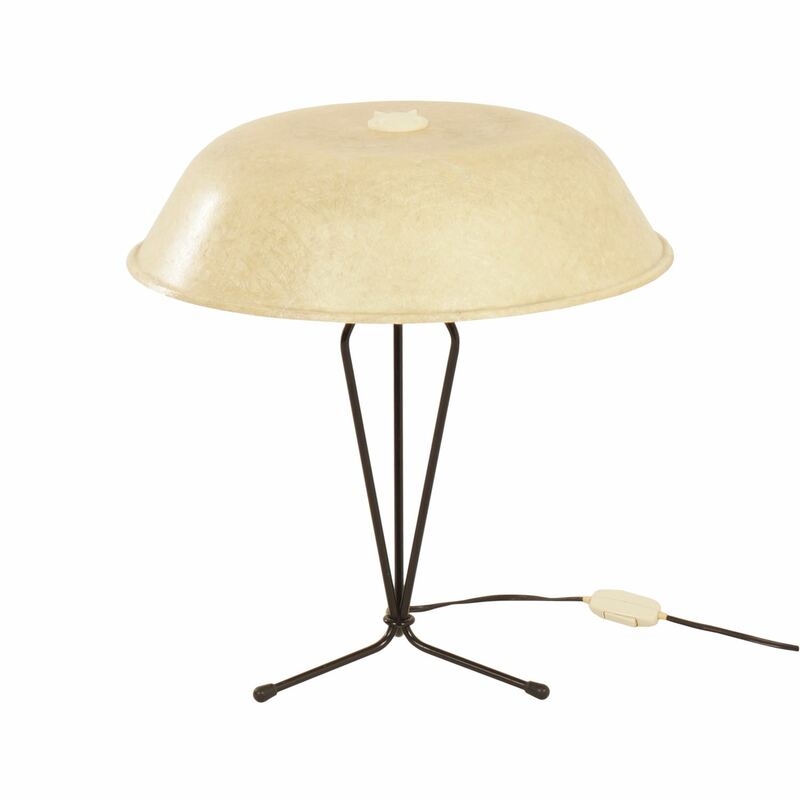 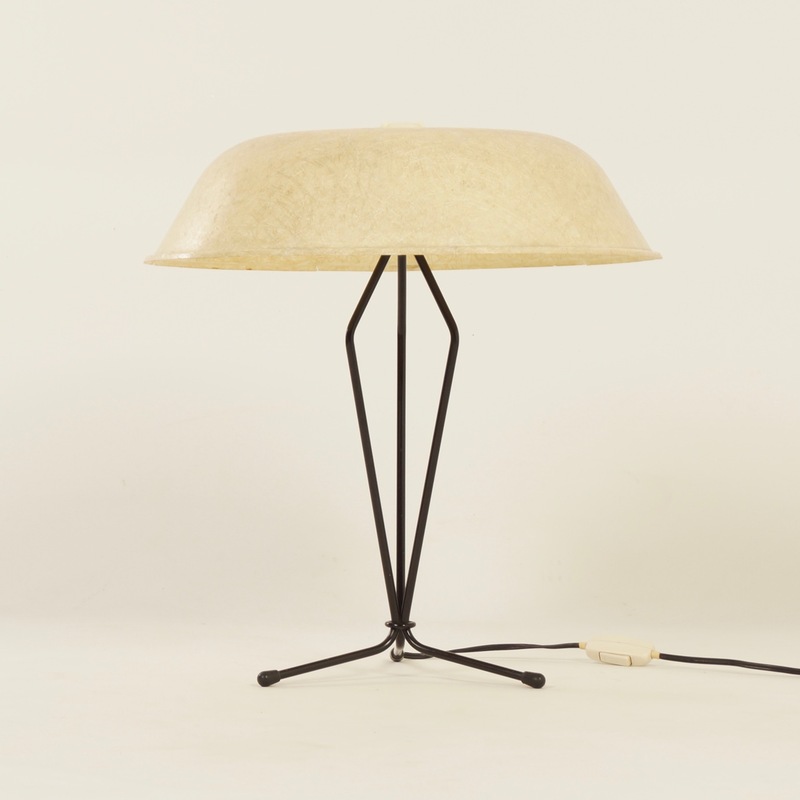 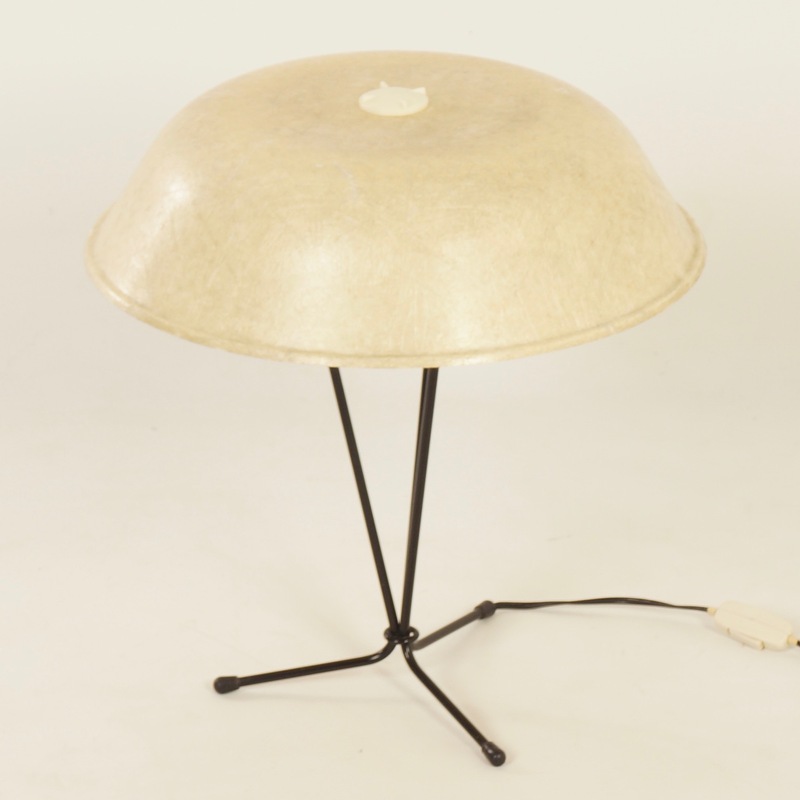 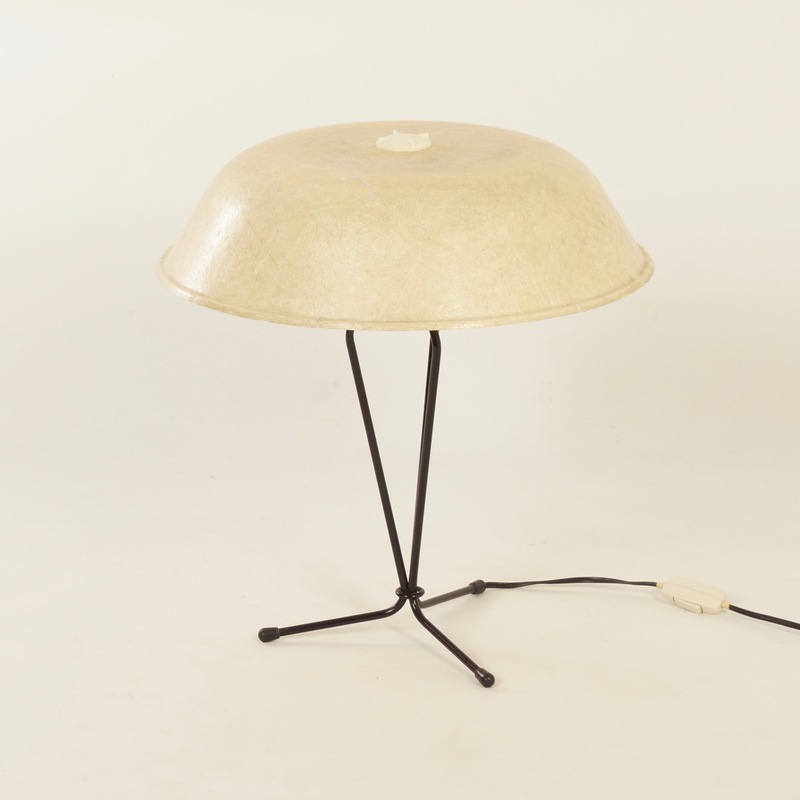 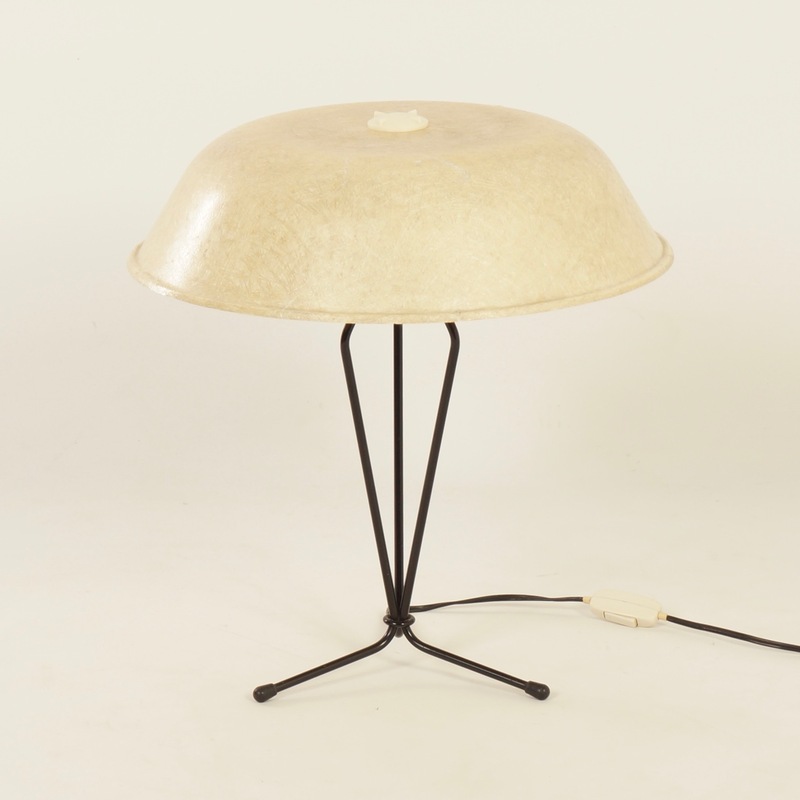 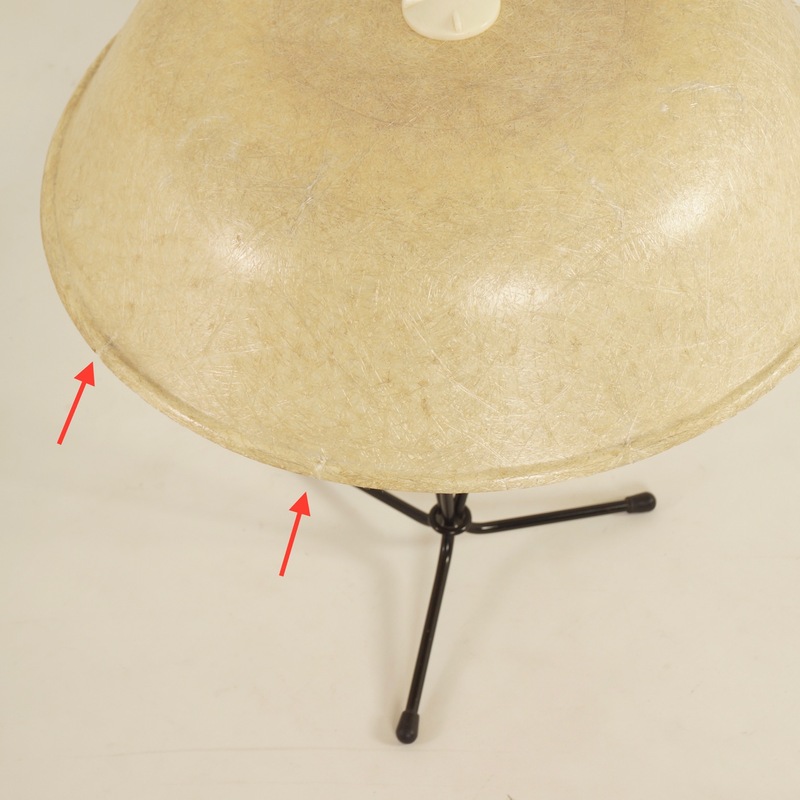 Very rare table lamp made of fiberglas designed by Louis Kalff for Philips in 1958. 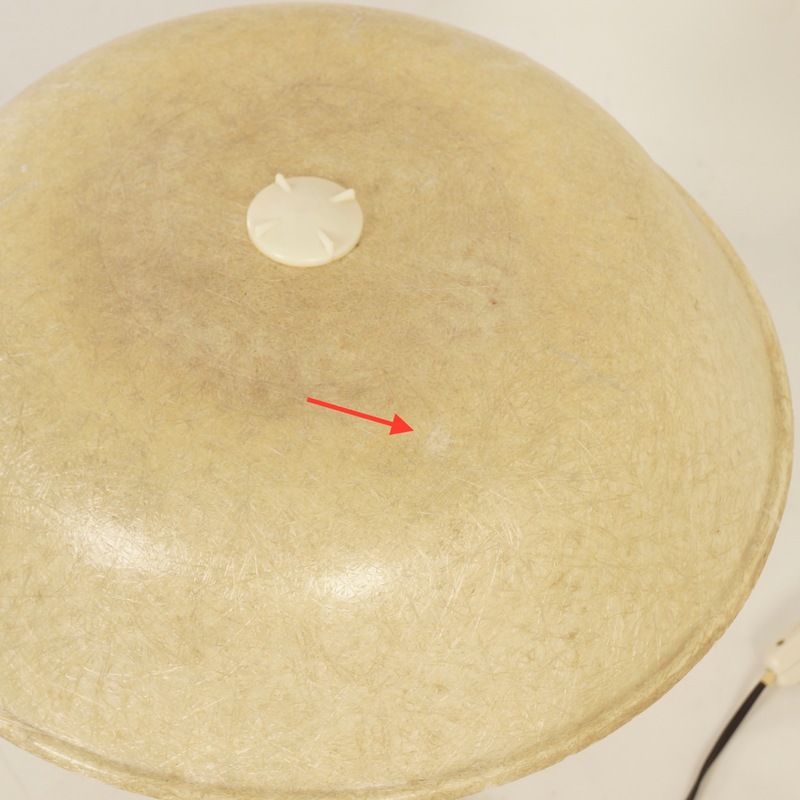 Considering its age in good original condition, some hairline cracks in the hood (shade) along the edge (see photos). 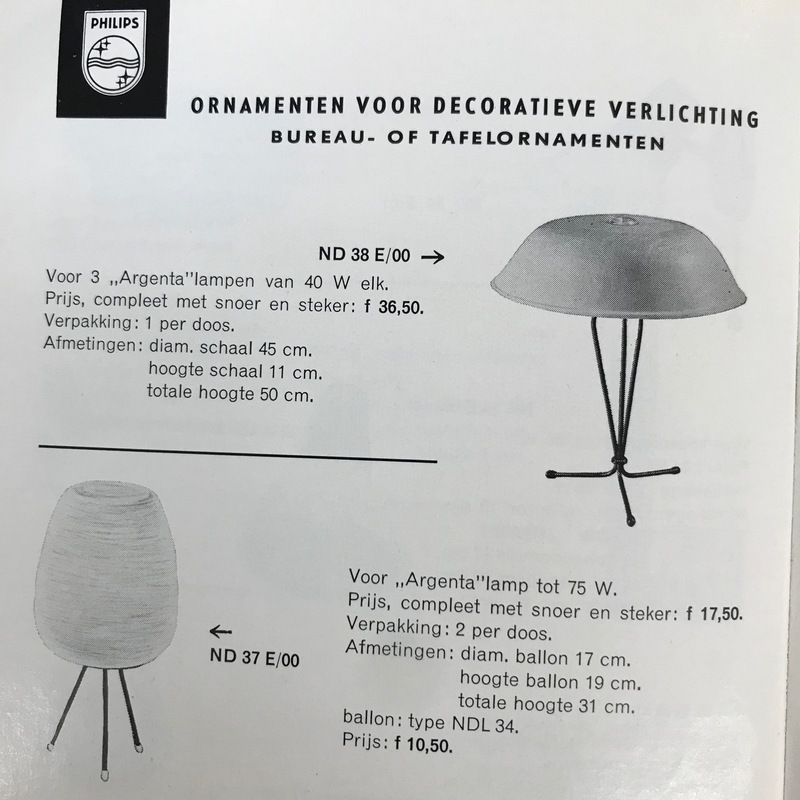 Source: Catalog Philips 1958, page 78. 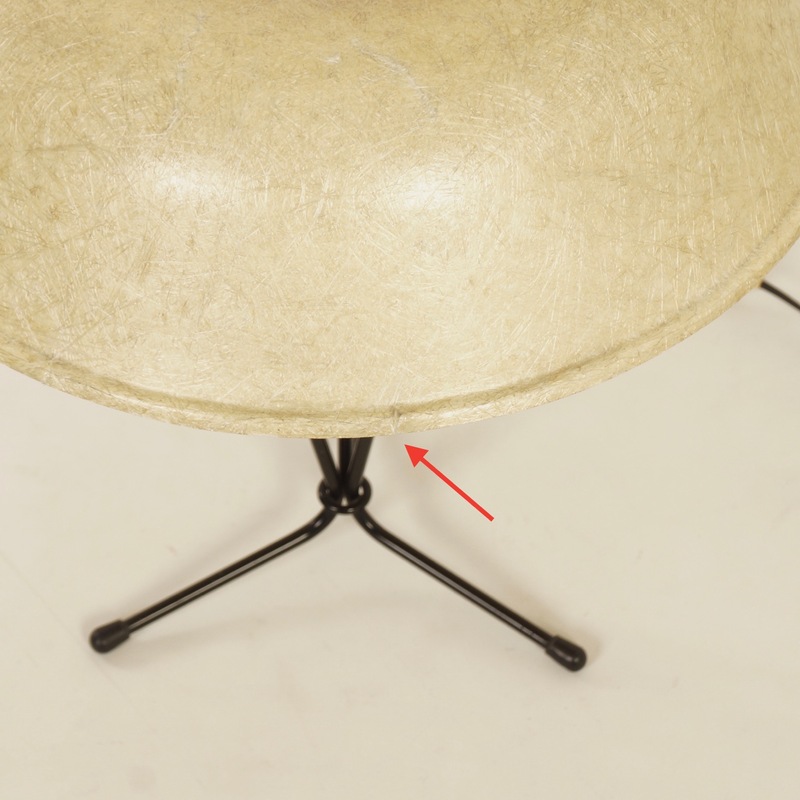 Used; remains fully functional, but it shows sign of age through scuffs, dings, faded finishes, minimal upholstery defects or visible repairs (see pictures).